Academics play a great role in the development of a child. Right from the very beginning we try various methods of teaching concepts to our little ones. While for teaching toddlers and pre-schoolers, play way method and Montessori methods are the best, at the same time, we must not underestimate the role of worksheets in the teaching process. 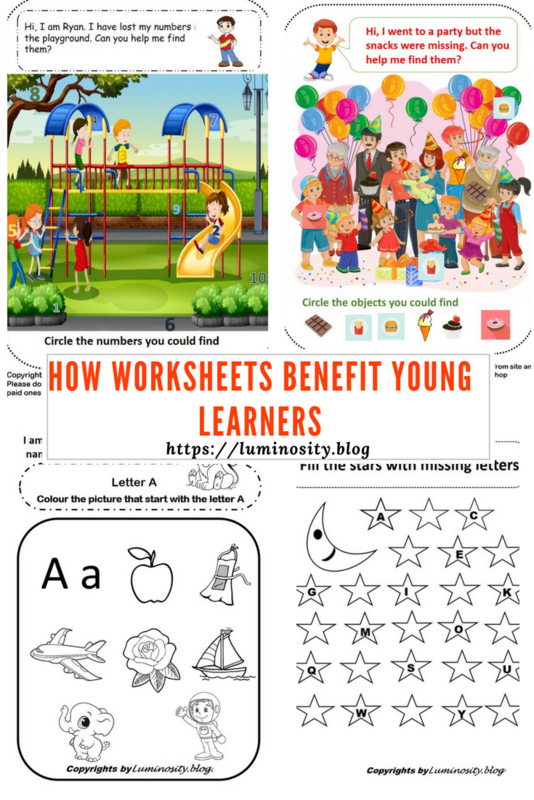 So, what are the benefits of worksheets for a pre-schooler? When we are teaching a pre-schooler through play way method, it is also important to evaluate how much he has learnt. Worksheets help in evaluating the child’s learning of the concept. A child’s attention span is very less. But for a pre-schooler, it is important to gradually increase his attention span which is also important for learning academics. Worksheets help in building attention of a pre-schooler. Worksheets are a fun way of providing an excellent understanding of different concepts. Worksheets provide an effective and enriching way of learning in less time. Pre-schoolers are very active and love to run around and get involved in various activities. But since the pre-schoolers are getting ready for formal schools, it is important for them to learn to sit at a place and develop the habit of completing the task assigned. Worksheets help them in that process. For a pre-schooler, it is also important to develop an interest in the formal method of studying. Worksheets are designed in a fun way with drawings and illustrations. They help in building an interest of the pre-schoolers in the formal way of teaching and learning process. Keeping the above points in mind, I regularly create worksheets for my little one which has benefitted her greatly. She enjoys doing them and we spend some fun time together while learning a lot of things. 🧡 love thanks for the tips! Lovely article. This is really helpful for toddler moms and preschooler moms. Absolutely agree that worksheets do help in increasing interests and evaluation. Learning is more fun with colorful and narrative worksheets. You seem to have created some nice worksheets for kids. My boy loves worksheets and is glued to them untill he finishes all that I have in stock. This is great Vidhi. Worksheets look great. These are really helpful for preschoolers. Sharing with my friends with small kids.